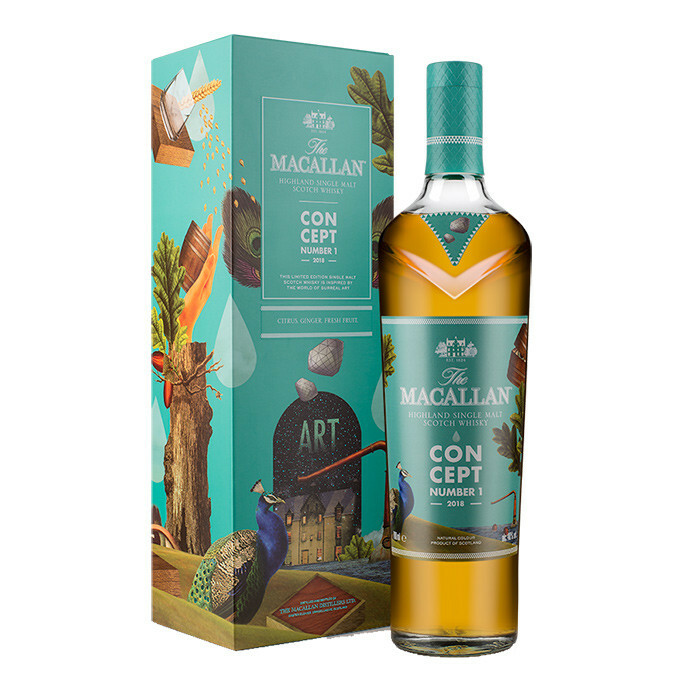 A limited edition series which celebrates the world’s visionaries by daring to disrupt the whisky making process. Concept No. 1 is inspired by surreal art and incorporates innovative production techniques. Nose: Ginger snaps, crystallised ginger, golden syrup, fresh cut red apple and grapefruit. Palate: Initial toffee sweetness with fresh young ginger and golden raisins, followed by vanilla fudge and lightly toasted oak. Finish: Medium-short finish with a surprisingly brightness that refreshes the palate.